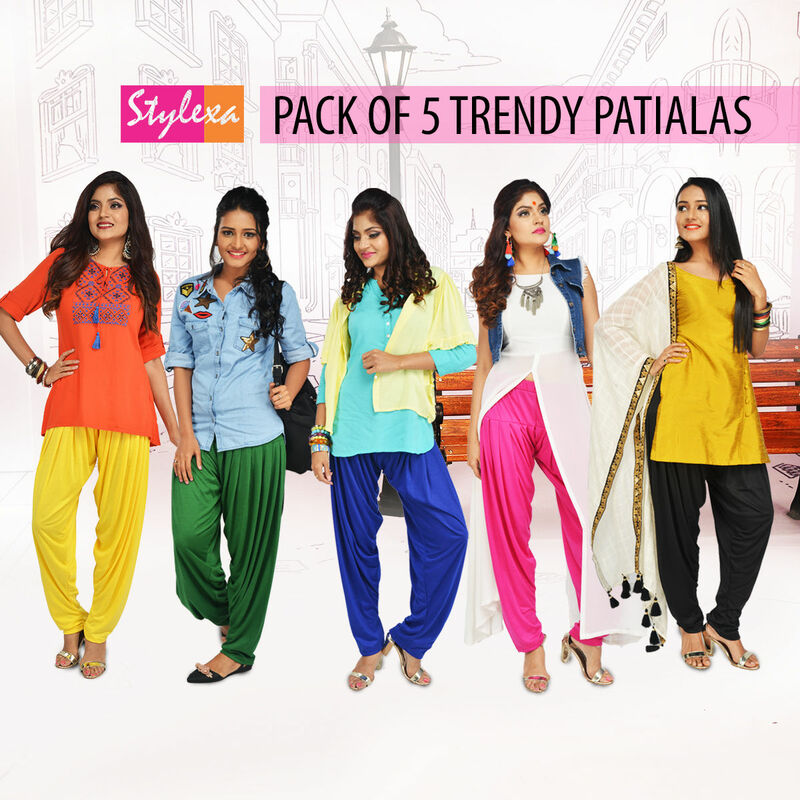 Look stunning with Pack of 5 Trendy Patialas, a perfect addition to your wardrobe. Made from Hosiery Knit, these patialas are highly durable and comfortable for all day wear. The soft elasticated belt & without drawstring does not leave any mark on your body. Moreover, it is skin-friendly and lightweight thus they are easy to maintain and care. Available in attractive and pop up colours, you can pair it up with a t-shirt for a trendy look or a kurti top for an ethnic glance. Gone are the days when ethnic wear were restricted to only sarees and traditional dress. With the change in the fashion industry, the ethnic wear has come up with different styles and patterns. One such wear that makes first choice for any women are patialas. The best thing about patialas is that they suit every body shape. So if you are thinking to buy one, then buying Pack of 5 Trendy Patialas is worth penny. We reviewed this combo so that you get an idea if picking this was your right decision. Material: Talking about its material, these patialas are made from soft and lightweight material of Hosiery knit. One can definitely consider wearing these for long hours without any worries. Also, the soft elasticated belt & without drawstring does not leave any mark on your body. Designs/print: Available in trendy and pop up solid colours, they are bound to catch eyes in the crowd. The best thing about the combo are the colours which are suitable for all skin tones. Durability: The solid colours are highly durable and does not lose its shine even after several washes keeping it fresh look for long time. Maintenance: The maintenance of these leggings is not a costly affair. Using plain cold water either by hand wash or machine wash condition them and keep it fresh for long. Also, dry cleaning is not required for these patialas. 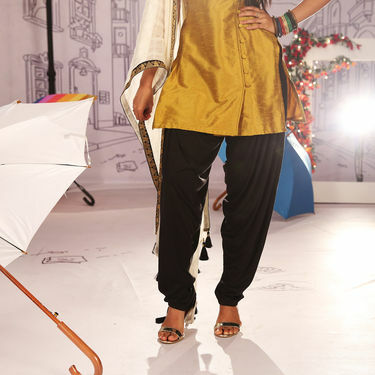 Style Tip: Pair it up with a t-shirt for a trendy look or a kurti top for an ethnic glance. Reviewer: Pack of 5 Trendy Patialas is going to make you fall in love with its eye-catchy colours, soft & durable material all over again. Look absolutely fabulous with these patialas that make sure that you stay at ease all day long.